MIAMI, Fla. (November 15, 2017) – The premier in-water luxury yacht exhibition during Miami’s annual boat show week each February has received a new name and look. 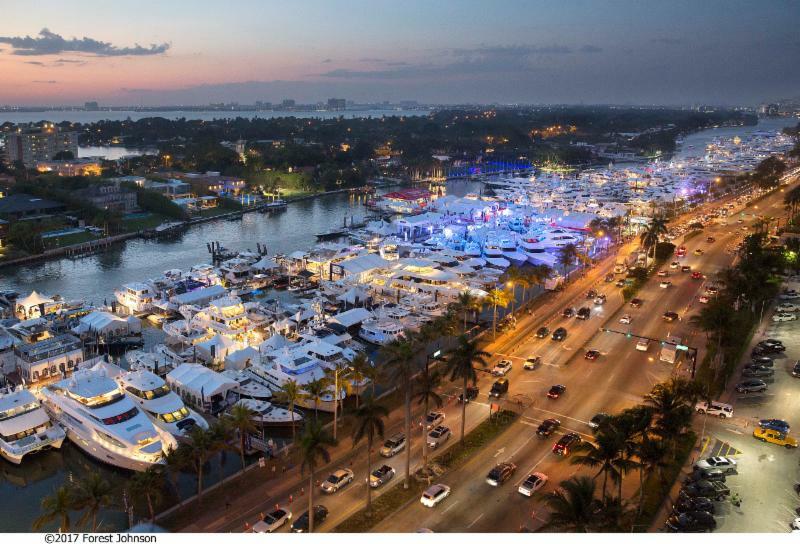 Formerly Yachts Miami Beach, the annual event is being rebranded as the Miami Yacht Show on Collins Avenue. Set to take place from February 15-19 in Miami Beach along Collins Avenue across from the legendary Fontainebleau and Eden Roc hotels, the show, now entering its 30th year, attracts a global audience to a spectacular display of yachts and marine products, including more than 500 new and brokerage yachts and a wide array of the latest marine technology and accessories. Spanning more than a mile along the Indian Creek Waterway from 41st Street to 54th Street, the extraordinary yacht show covers more than 1.2 million square feet of space. 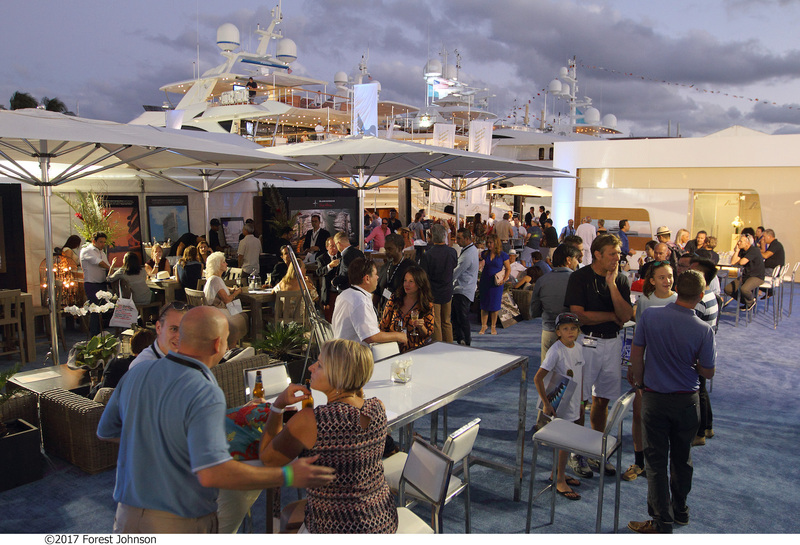 In addition to the amazing display of yachts and accessories, the show features floating cocktail lounges, food and live musical entertainment. A new Miami Yacht Show website will debut this fall at MiamiYachtShow.com, along with the launch of Boat Show Market Place, a new online platform designed to allow attendees to more easily plan their visit to the show and schedule appointments with the exhibitors they most want to see. 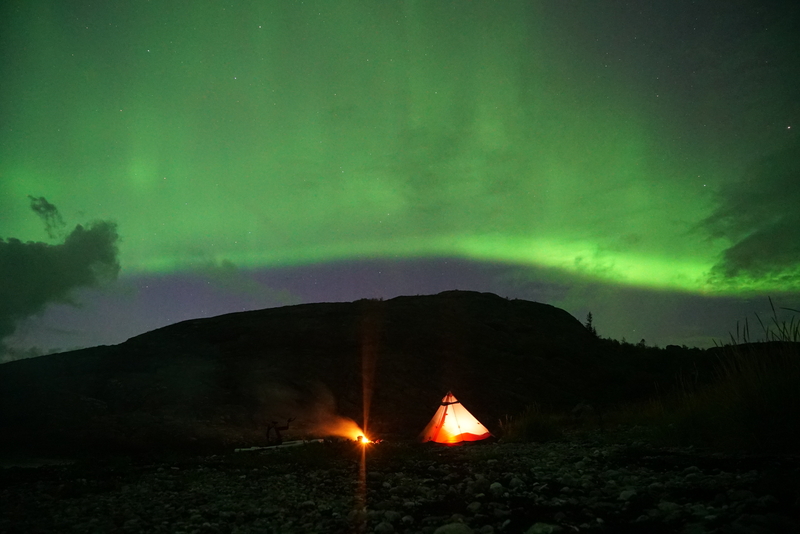 The new site will be fully optimized for mobile browsing. The new website builds upon improvements introduced at last year’s boat show, including a new physical look and layout that delivered a more interactive and inviting sales experience and environment for guests and exhibitors. Show organizers also introduced a VIP Experience ticket that offers guests who wish to experience the show in celebrity style access to a floating, air-conditioned lounge with a premium open bar, gourmet food, a dedicated concierge to arrange appointments on board yachts and other special experiences. 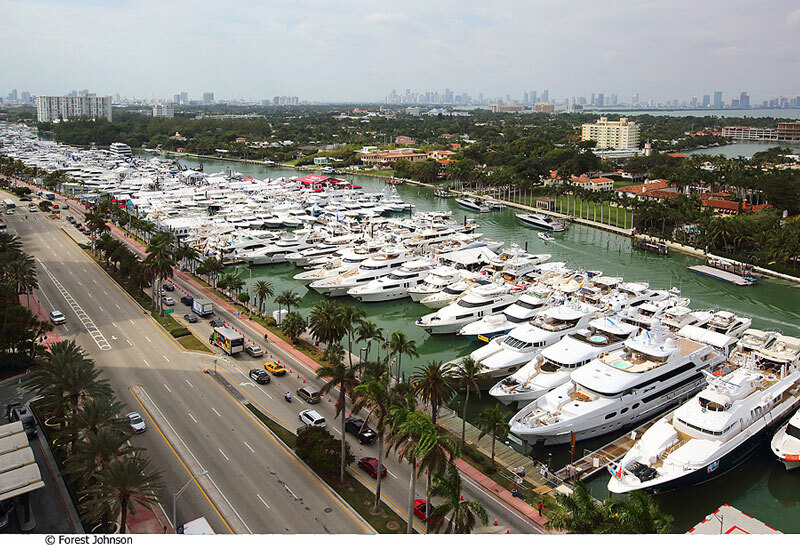 In addition to its iconic Collins Avenue location, the Miami Yacht Show also includes an invite-only satellite display of superyachts on Watson Island at the Island Gardens Deep Harbour marina, which can accommodate yachts up to 500 feet. 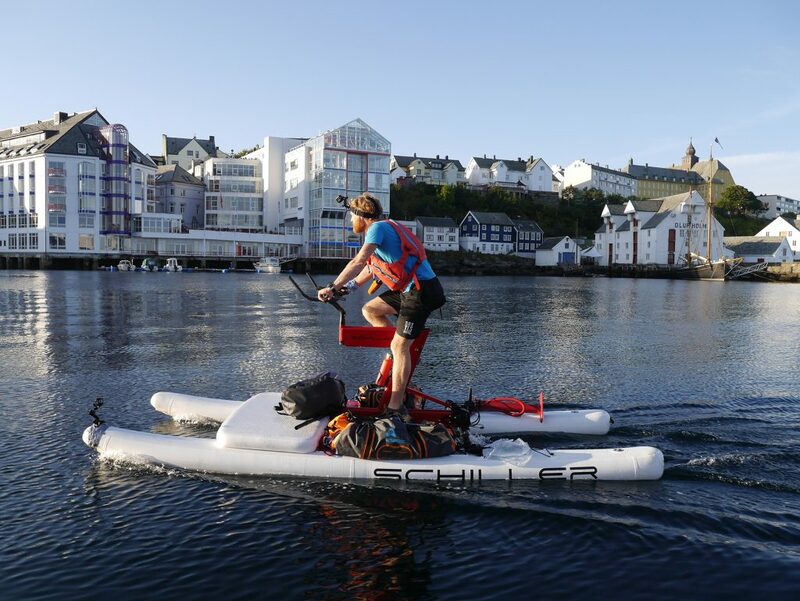 Yacht brokers can arrange transportation for clients between the two show locations. Two different boat shows take place in Miami and Miami Beach during Presidents’ Day weekend in February. Informa manages and produces the Miami Yacht Show on Collins Avenue and co-owns it with the International Yacht Brokers Association. 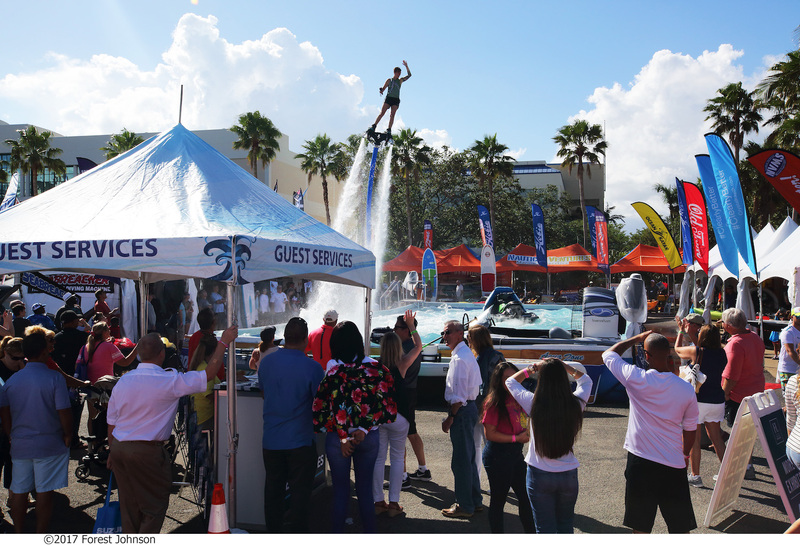 The event runs concurrently with the Miami International Boat Show, which is owned and operated by the National Marine Manufacturers Association. For more information, call 954-764-7642 or 800-940-7642, or visit MiamiYachtShow.com. 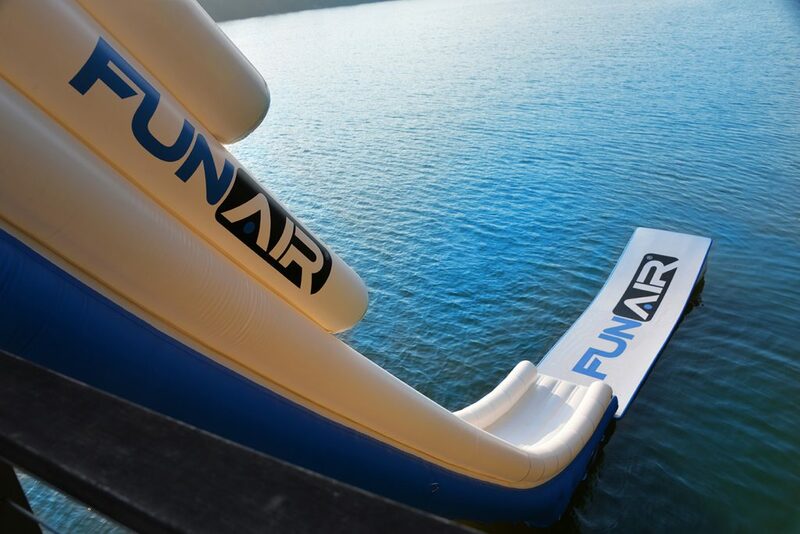 Gulf Craft and FunAir are pleased to announce during METSTRADE 2017, the largest marine equipment trade show worldwide (Nov 14-16), that a partnership agreement has been made for Gulf Craft to be an official FunAir distributor in the Middle East territories.